Haven’t you always wanted to “do some science” with your telescope? You can even use just a DSLR on brighter objects! determine any star’s OBAFGKM star-type and temperature from its spectra curve. detect the cosmological red-shift of a distant quasar! measure the blue-shift of a supernova’s expanding shell as it races towards us at millions of miles/hour. Looking for our new poster? Click on this link. We’re pleased that Sky & Telescope Magazine awarded our RSpec software their “Hot Product” award. The award is given for product excellence and technical leadership. 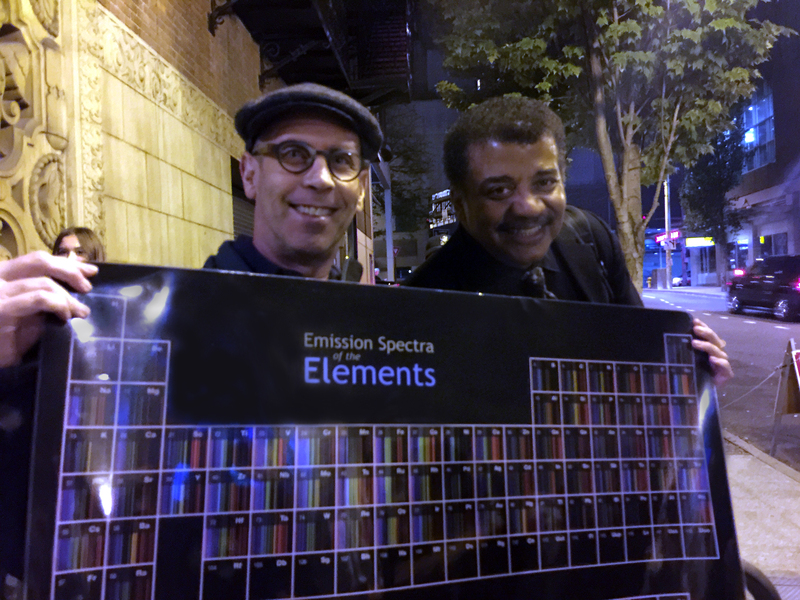 Our customers tell us the award was well-deserved because our ground-breaking software allows you to easily capture and process the spectra of stars. 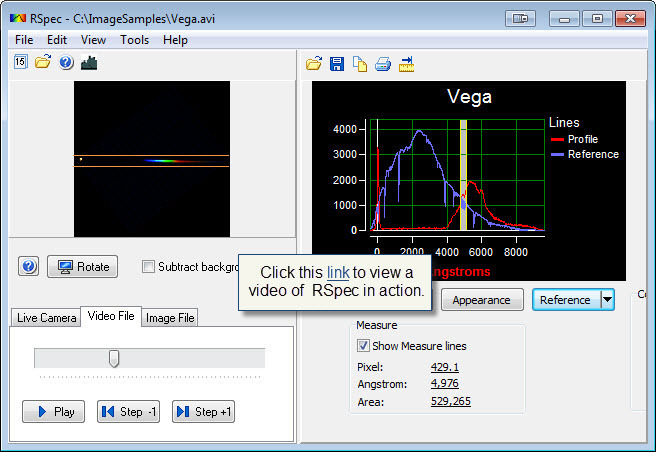 Our RSpec software is a program that enables you to rapidly go from a FITS, DSLR, or video image to a calibrated spectrum graph – in real-time. Now you can see a star or planet’s spectrum graph instantly, right at your telescope! No more waiting until later to see if you got the spectrum you hoped for. Getting started in spectroscopy is easy. Use our inexpensive Star Analyser grating (link) or Rainbow Optics Star Spectroscope on almost any camera or telescope. You’ll be able to easily see the spectra of distant stars. You can even use an unguided DSLR camera — no telescope needed. But, don’t take our word for it — the video below shows the spectra of a bright star taken at 5 frames/second using just an astronomical video camera! Better yet, see for yourself what’s possible. Check out our sample results page that shows what amateurs just like you have done: link. In the past, creating an intensity graph from a star’s spectrum was a painful trial-and-error process. But, now, because RSpec displays your profile graph immediately, it’s painless. No one likes the drudgery of complicated image processing and steep learning curves. Astronomy is supposed to be fun! With RSpec, you can go from a raw image to a calibrated profile graph in just a few clicks. See a star’s spectrum in real-time at your telescope! Want to see what else you can do in spectroscopy? Check out our Sample Project page: link. To read more about RSpec, click here. “This fantastic system for amateur use or teachers. It works wonderfully in middle school light and color classes, or high school/college classroom demonstrations and hands-on projects. “The Star Analyser grating is a perfect fit for us. Other companies were claiming it was “impossible” to do spectroscopy with the filter wheel, wanting us to spend thousands of dollars (that we didn’t have) to completely alter our system. They were very obviously off base. This setup is exactly right for teaching our students how to do spectroscopy research, which is our main goal.